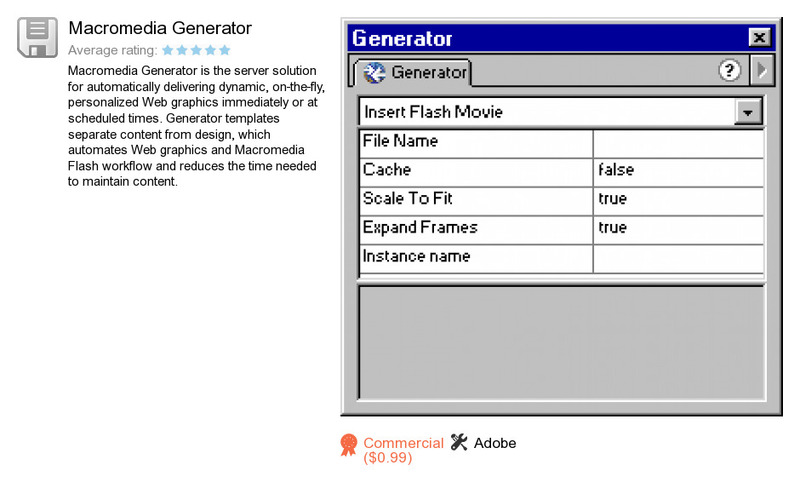 Macromedia Generator is an application developed by Adobe. We know of versions 2.6, 2.0, 2. Version 2.6 is available for download at our site. Macromedia Generator distributive has a size of 609,507 bytes. It works with the following extensions: eps, fh8, fh9, fhx, ft8, ft9, fh11, ft10, ft11. Adobe also publishes InstallShield Tuner For Adobe Acrobat and Adobe Interactive Forms Update SP1.